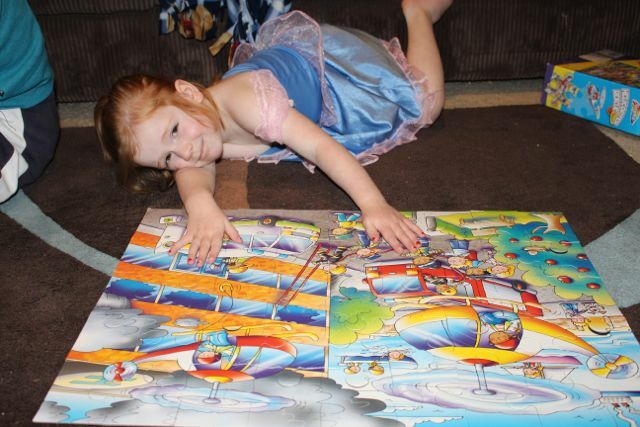 A proud of her helicopter rescue puzzle. 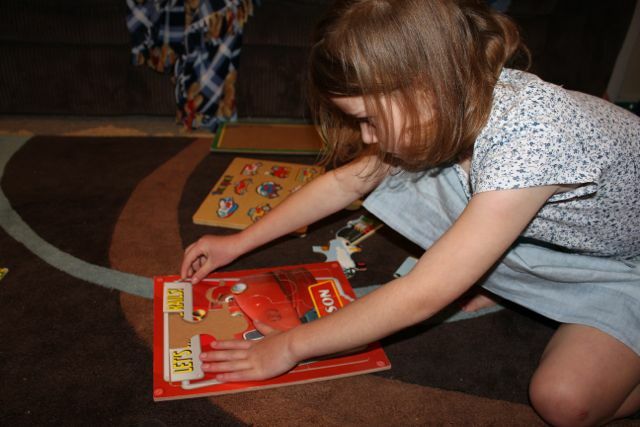 We love doing puzzles, but we’ve already done all the ones we own multiple times. I had been thinking of getting some new ones, but L’s school has a great range of puzzles that they rotate through the classrooms and the library that we can use, so I’d been putting it off . 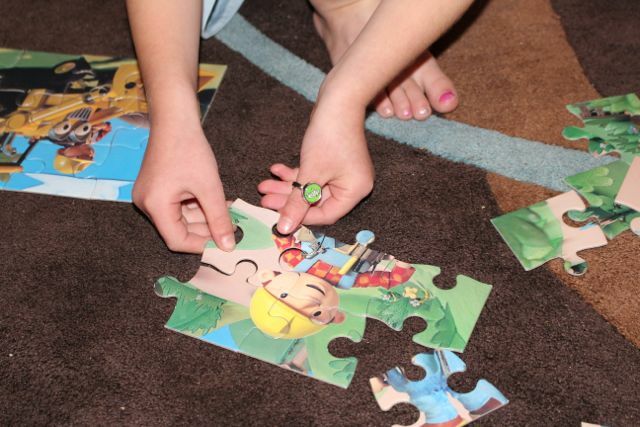 A and I often spend a couple of mornings each week doing puzzles in the library after we’ve taken L to class. L will sometimes do a puzzle there if we have enough time before class begins, but she isn’t as interested in puzzles as A. 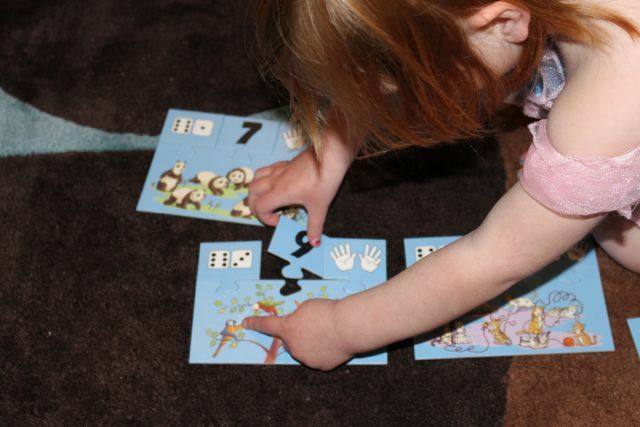 We encourage both of them to do puzzles, as they are not only fun, but they are great for hand eye coordination and logic skills. 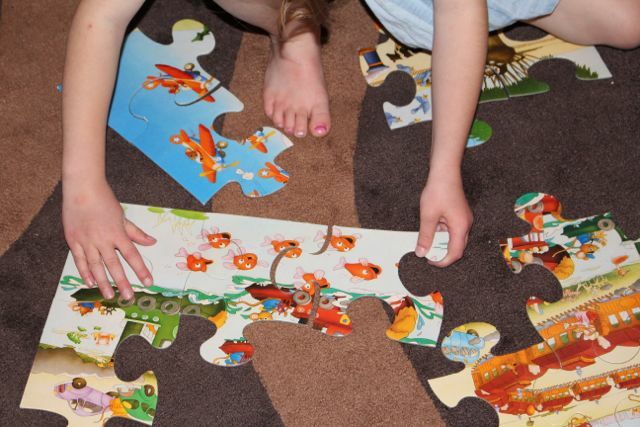 Last week our neighbour gave us two bags of secondhand puzzles for the kids, so we spent the afternoon sorting through them, and doing them all. There was a mix of wooden board puzzles, large floor puzzles, a counting one, a couple of cube puzzles and some simple jigsaws. I think they enjoyed the floor puzzles best. Most of them were a little easy for L, but she still had fun putting them together with us. It was nice to spend a couple of peaceful hours doing puzzles with the kids and Big L while baby T slept.